​Many thanks to the judges, mentors, and speakers who are volunteering their time for the Flagstaff Pioneer Pitch! Please click the accordion below for more information on each of our outstanding mentors and judges. ​If you read Venture Beat or Crunchbase, it often sounds like startup unicorns go directly from idea to exit, without too much time or effort in between. But, the truth is that startup giants like Uber, Airbnb, and Slack were in business 8-10 years before they gained the widespread public attention they have today. What were they doing all that time? Following the predictable path that most startups need to follow from AHA! to Exit. Listen as Aram Chavez, entrepreneur, speaker, and former investment banker turned professor of entrepreneurship at ASU shares the key milestones every startup needs to hit on their way to mega-success. Co-developed by Chavez and fellow professor Steven Cho, the map outlines the ten steps every startup needs to take on their way to a unicorn exit. Innovation fanatic, wicked-good problem-solver, insightful advisor and voracious learner, Lisa Lloyd has invented, licensed and brought to market numerous products, including products to major distributors, Goody Products®, Scunci®, and Helen of Troy®, as well as Shark Tank featured product TC Pets, for which she won the coveted investment from “Shark” Daymond John of FUBU. She is also the founder of the Inventor’s Association of Arizona and has been a contracted consultant for hundreds of small businesses and startups as well as to major corporations like InventHelp®, Scunci® and Newell Rubbermaid®. Her experience also includes of Director of New Business Development for Early Stage East. ESE is a high-level venture conference planning company specializing in early stage VC for High-Tech and Biotech companies. A speaker and trainer for more than twenty years on the subjects of innovation, licensing and business tactics, she has been a featured lecturer at universities including the U of A Eller School of Business and Entrepreneurship, ASU College of Engineering, and the Arizona Intellectual Property Association’s continuing education program for patent and trademark attorneys. Todd Davis is the Chief Executive Officer at SkyTouch Technology. Prior to founding SkyTouch with his partner, Tony P, Davis was the CIO for Choice Hotels. He is a hospitality technology executive with 30 years' experience leading innovative technology solutions delivery to business stakeholders. Davis has demonstrated excellence in; leadership growth and transformation, financial and business acumen, cultivation of strong culture, innovation and operational execution of global programs and solutions. PAUL THOMAS. After a nearly 30 year career as a successful President and CEO, where I led both Public and Venture backed Technology Companies and raised more than $130M in Venture Capital I returned to Flagstaff, Arizona and started a new career. In the summer of 2013 I returned to Northern Arizona University as an Executive in Residence and Assistant Professor of Practice at the WA Franke College of Business. In 2015 I started as Chief Entrepreneur for the Northern Arizona Center for Entrepreneurship and Technology (NACET) new Accelerator. In 2016 I became the CEO for Northern Arizona Leadership Alliance (NALA). I have the absolute best career in the world in that I spend my days working with students, start-ups, and fellow CEOs all working to make Northern Arizona thrive and succeed. Diana White has over 30 years in sales, retail, customer psychology, and marketing experience as just a few of her skillsets. She established D.E.W. Business Solutions, LLC in 2014 to provide business consulting for small businesses. Diana then took on the role of Director for the Coconino County Small Business Development Center and is proud to deliver instruction to entrepreneurs and small business owners through her work with Moonshot at NACET. She provides the leadership and forward thinking that is required to take your business to the next level. Kiersten Hathcock -- Entrepreneur, Shark Tank winner, and Tedx Speaker. Oversight of all Arizona banking locations including developing the greater Phoenix market and creating brand awareness through marketing, community involvement and good ole boots on the ground. Additionally, I lead a team of relationship managers and support personnel in developing new relationships to ensure loan and deposit growth goals are met as well as compliance with all regulatory guidance. In addition to this, I manage a significant loan portfolio of commercial clients throughout the state. Leonard Quimby is the founder and Chairman of Sonherd. Mr. Quimby worked for over 29 years in the financial services industry ranging from distribution to corporate. He began his career in the late 80’s in distribution and agency management, eventually working his way to Director. From this he was brought to LCS Marketing as its President growing that company to the LCS Family of Companies which included a consulting company, marketing company, call center functions, a leadership academy and ultimately becoming its Chairman. He has started and sold over three successful business ventures. Mr. Quimby has also designed and implemented complex financial instruments being used today in some of the nation’s largest financial institutions. He is a member and serves as Chairman of the Board of Directors for the Society of Certified Retirement Financial Advisors. Mr. Quimby also serves on the Board of Directors for OTM Marketing Services, ReQu, TAFEB and several other non-profits and charities. Previously he was a board member for The Harbor Center for Kids, Planwell Associates in Las Vegas, Sandhill Retirement Solutions and ABCA. He has been a CASA, a volunteer position over-seeing kids in the foster care system. Mr. Quimby first retired in his late 30's and became an educator and Director of Athletics. http://blog.riosalado.edu/2010/03/retirees-heading-back-to-school-for.html. He has taught classes to adjudicated youth, served in academic administrative functions and has been generous with his time to assist local troubled teens in the fields of academics and athletics. His experience working with some of the largest US based insurance companies and their executives, legislators, school boards, administrators, unions and America’s leading corporate executives, coupled with the experience of bringing all those stake holders together has been the signature of Mr. Quimby’s business career. 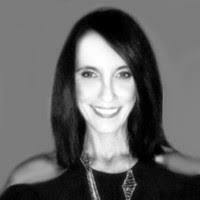 Katherine Romero is a seasoned eCommerce, brand building, and digital marketing professional with over 14 years’ experience building global brands in the digital space exceeding annual eCommerce revenues of $300 million. Katherine’s strategic, tactical and team development experience spans all digital marketing channels including SEO, SEM, content marketing, email marketing, social media strategy, display & programmatic advertising and partnership/affiliate marketing. Katherine is a frequent university lecturer, speaker, panelist, blogger and workshop leader in the field of digital marketing. Currently the Co-Founder of MAKA Digital, a full-service digital marketing agency serving a client base producing over $20 million in annual eCommerce revenue. Formerly the Head of Digital Marketing for 7 luxury and lifestyle brands in the Deckers Outdoor Corporation portfolio including UGG Australia, Teva, and Sanuk. ​For the past two years, Scott Hathcock has served as the President and CEO of Moonshot at NACET, a nonprofit incubator/accelerator entrepreneur program based inFlagstaff, AZ. In addition to assisting company founders directly, Moonshot at NACET also manages and oversees incubator programs for developing rural areas in creating eco-systems for entrepreneurs to thrive across the state of Arizona. This past year, Moonshot at NACET programs also extended beyond the state and are now being received in Nevada and Washington. 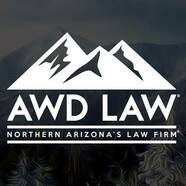 Tom Dietrich is an attorney who works with businesses and content creators in Northern Arizona and California. As a NACET mentor, he’s involved with the Flagstaff startup community and has helped a number of startups with intellectual property and business law issues. With over 11 years of experience, Tom has a broad knowledge base. In the past, he has litigated comic book copyright cases involving Spawn and The Walking Dead and has worked closely with publishing industry clients. He helps companies with trademark filing and management, trade secrets protection, rights licensing, and drafting EULAs and TOSs and other website essentials. Tom is well-versed in all aspects of patent litigation, from helping small companies protect manufacturing investments to defending companies against infringement claims. Don’t be mad if he tells you your idea is not patentable. And don’t be fooled by the picture—he’s bearded now. 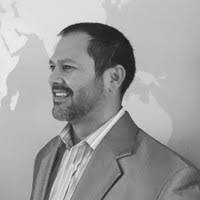 David Soto is an accomplished start-up leader, hands-on Investment focused C-Suite executive and entrepreneur who has successfully developed and implemented corporate strategy from a business and financial perspective, trusted business partner and advisor to CEO’s and entrepreneurs. Seasoned at working in rapidly growing start-ups, specializes in early growth stage strategy, positioning, revenue model development & new business development in companies. Innovative business strategist gifted at cultivating strategic alliances, developing multiple revenue streams within cutting edge technology environments and successfully executed corporate transactions including M&A (buy-side and sell-side), capital raises and restructuring. Find David at: https://www.shiftcreativesolutions.com. The state-wide AZ Pioneer Pitch Tour is sponsored by APS.